The Toronto Real Estate Board reported 2,496 sales through the TorontoMLS system during the first 14 days of December 2014. This result was up by 1.9% compared to the same period in December 2013. Over the same period, new listings were down by 1.8% year over year. “Greater Toronto Area households remain upbeat about buying a home, as evidenced by the increase in sales compared to last year. However, many would-be home buyers continue to have problems getting a deal done due to the lack of listings for some home types. 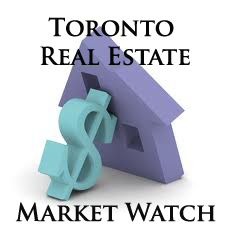 The lack of listings has definitely been a drag on sales this year,” said TREB President Paul Etherington. The average selling price for December mid-month transactions was $565,873, which represented a year-over-year increase of 8.6%. Price growth was driven by the detached market segment in the City of Toronto. “Sellers’ market conditions remain in place for low-rise home types, including detached and semi-detached houses and townhouses. The condominium apartment segment of the market has been more balanced due to strong project completions, but there has been enough buyer interest to prompt condo price growth above the rate of inflation,” said Jason Mercer, TREB’s Director of Market Analysis.